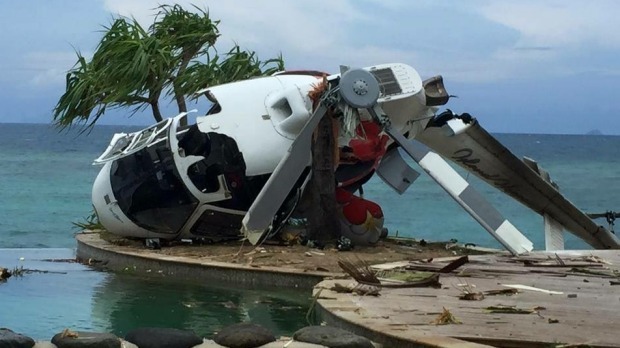 NEWS Seven people escape helicopter crash on Treasure Island, Fiji. Seven people were lucky to escape after the Eurocopter they were travelling in crash landed earlier today on Treasure Island, Fiji. The helicopter was apparently caught by a strong gust of wind. The Civil Aviation Authority of Fiji will be investigating this accident.